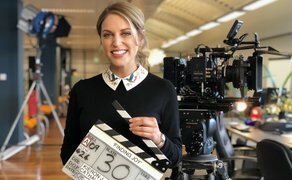 Acorn Media International (AMI) have announced that the new partnership with Australian broadcaster ABC TV, will see Amy Huberman’s ‘Finding Joy’ premiere on iView followed by ABC Comedy. Huberman writes and stars in the Irish comedy, which was produced by Irish production company, Treasure Entertainment, and aired on RTÉ in October. The six-part comedy series follows Joy, a recently dumped, newly appointed chief lifestyle vlogger and writer for ‘News Today’. Tasked with investigating spiritual retreats, abseiling and other pursuits not pursued by everyday folk, Joy’s world is literally turned upside down. The company also announced they have penned a deal with BBC One for both Series One and Series Two of their gritty, gripping police drama ‘London Kills’.